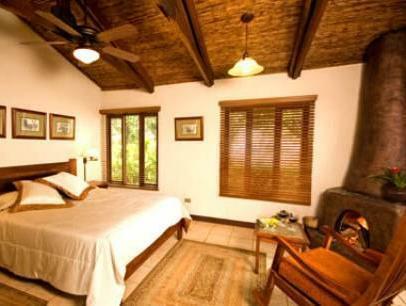 ﻿ Book Villa Blanca Cloud Forest Hotel & Nature Reserve (San Ramon) - 2019 PRICES FROM $265! Surrounded by the tropical cloud forest of the Los Angeles Private Biological Reserve, this eco-friendly resort includes a spa and a working farm. 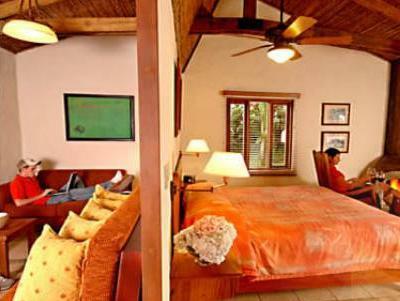 The luxury cabins offer jungle views and free internet access. Set out like a small village, Villa Blanca’s spacious cabins have an open fireplace and a porch or terrace. 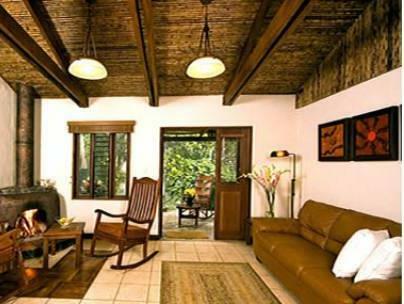 Each cabin has elegant décor and handmade furniture, including comfortable rocking chairs. Villa Blanca Cloud Forest Hotel & Nature Reserve offers day and night tours of the incredible cloud forest. Staff can also arrange excursions to the Volcano Poás National Park, 31 mi away. Costa Rican cuisine made with homegrown organic produce is served at the Villa Blanca’s restaurant, which has stunning jungle views. The charming lobby bar has sofas and a fireplace. San Jose International Airport is just over an hour’s drive from Villa Blanca Cloud Forest Hotel. Free private parking is offered on site.